Goat’s milk formula is popular among Chinese mothers: in a 2017 survey 41% said they choose it because they are ‘willing to pay more for their babies’ food’. Image: True New Zealand Adventures. It seems as if no decisions can be made in the Asian dairy market without the potential for expanding operations into the Chinese market. 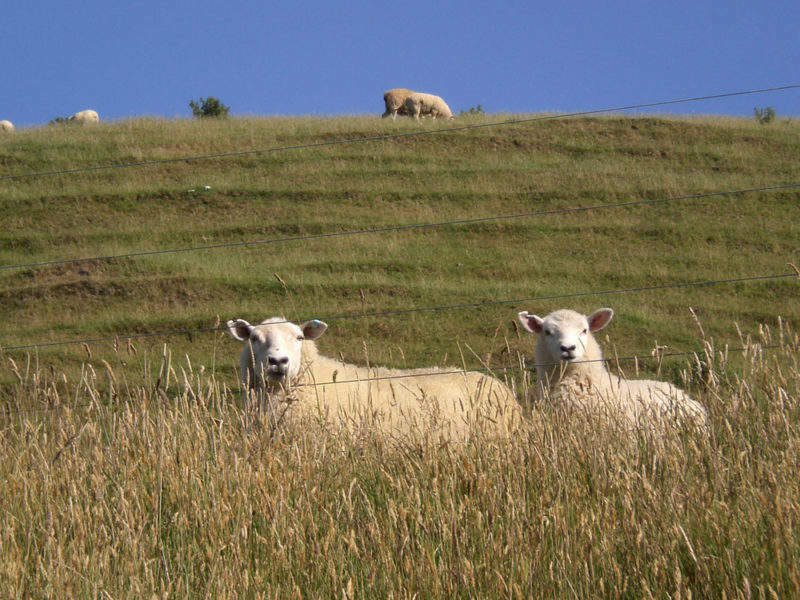 The latest development – that of South Korea’s Lotte Group forming a supply agreement with New Zealand-based Spring Sheep Milk Co – is no exception. Although initially the agreement will focus on introducing children’s products into the South Korean market from 2019, already the partnership is seeking to launch an infant formula into China by 2020. Goat’s milk formula is popular among Chinese mothers: in a 2017 survey 41% said they choose it because they are ‘willing to pay more for their babies’ food’. A few infant formulae based on yak’s milk and sheep’s milk have also been approved for sale and benefit from the same positive health image. In fact sheep milk is said to be more nutrient-rich than cow’s or goat’s milk, with a higher calcium and protein content. The partnership between Lotte and Spring Sheep would look to exploit this trend, with the latter’s mission statement celebrating “the natural environment in its animal rearing, embodying free-roaming and grass-fed farming with no synthetic or artificial feed or GMOs or antibiotics”. However, the partnership may be well advised not to leave it too long to try and enter the Chinese market, as the alternative milks segment is expanding rapidly, seemingly every month seeing new entrants anxious to take advantage of this buoyant and – thanks to its status as a premium product – hugely profitable market. The segment is currently led by Kabrita, marketed by Ausnutria Hypocra, which has been the best-selling imported goat’s milk brand since 2014. Other players include Blue River Dairy, Baiyue Dairy, Doraler Goat (made for Yashili by Camperdown), the Dairy Goat Cooperative (Karihome), Dumex, Wondersun, and Milk Goat. In early 2018 Bubs announced that it would sell Bubs Advanced Plus+ goat’s milk infant formula through Chemist Warehouse’s ecommerce network via Tmall. Spanish association Uniproca is building a plant to manufacture goat’s milk formula and is forming a joint venture with Chinese formula distributor Eurbest to exploit demand in this market, which local companies are unable to fulfil due to the lack of high-quality goat’s milk. Feihe is now building a plant in Canada and plans to export goat’s milk to China from 2020. Most recently (again from Baby Nutrition Insights) it is noted that Jatenergy has acquired a 51% stake in Australian exporter Sunnya Pty Limited, whose portfolio includes Raicare goat’s milk infant formula, and an application for registration on the Chinese market has been submitted. Additionally Bubs has signed a long-term distribution agreement with New Times Asia for the distribution of the recently acquired CapriLac goat’s milk brand on New Times Asia’s e-commerce platform.